Comedian Lily Tomlin masterfully portrays Ernestine, Edith Ann, Susie the Sorority Sister and more as she unleashes her wit and wisdom in this special episode of Oh Behave! Discover what host Arden Moore and Lily share in common and why Lily has become a champion for one of Mother Nature’s most sensitive and intelligent creatures – the elephant. This is one show you don’t want to miss – and that’s the truth! Questions or Comments? Send them to: arden@petliferadio.com. Female Announcer: You’re listening to PetLifeRadio.com. Male Announcer: It’s “Oh Behave!” with Arden Moore. The show that teaches you how to have harmony in the household with your pets. Join Arden as she travels coast to coast to help millions better understand why cats and dogs do what they do. Get the latest scoop on famous faces, their “purrfectly” pampered pets, and who’s walking who in Rin-Tin-Tinseltown. From famous pet experts and best-selling authors, to television and movie stars, you’ll get the latest buzz from wagging tongues and tails. Garner great pet tips, and have a doggone, fur-flying fun time. So, get ready for the paws and applause, as we unleash your “Oh Behave!” host, America’s Pet Edutainer, Arden Moore. Arden Moore: Welcome to the “Oh Behave!” show on Pet Life Radio. I’m your host, Arden Moore. Our special guest today is quite a character, and I say that in a very complimentary way. You may know her as that “one ringy-dingy” telephone switchboard operator Ernestine, or the wise-beyond-her-years child in a giant rocking chair, Edith Ann. She’s staged successful one-woman shows, won Emmys and Grammys and Tonys, oh my. Let’s give paws and applause to our very special guest: actress, producer, comedian, writer, and my favorite, animal advocate, Lily Tomlin. Welcome to the show Lily. Lily Tomlin: Thank you, Arden, very much, for my intro, thank you. Arden Moore: Oh, great, good. I teed it up well. We’re going to find out Lily’s upcoming role that will benefit animals in the Los Angeles area, and more, right after this commercial break, so sit and stay. We’ll be right back. Male Announcer: Time for a pause; four furry ones actually. Sit and stay. “Oh Behave!” will be right back. Female Announcer 2: New York. The glitz, the glamour, the exciting “Mutt”-tropolis. The sparkling kitty-city that never sleeps. Join us each week for “Pets in the City”, with your host, Diane West. Celebrity pet sightings, hot events, and news and reviews with the hottest movers, shakers, and tail-waggers in New York. So take a bite out of the Big Apple with “Pets in the City”, every week, on-demand, only on PetLifeRadio.com. 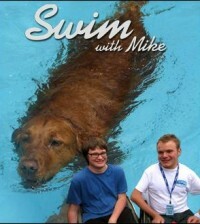 Male Announcer: Let’s talk pets on PetLifeRadio.com. Male Announcer: “Oh Behave!” is back, with more tail-wagging ways to achieve harmony in the household with your pets. Now back to your fetching host, America’s Pet Edutainer, Arden Moore. Arden Moore: Welcome back to the “Oh Behave!” show on Pet Life Radio. I’m your host, Arden Moore. Our guest today is Lily Tomlin, that rare person blessed with star power, and animal magnetism. All those Emmys and Tonys and Grammys and sold-out Broadway shows aside, Lily, I guess you know you’ve really made it when you’re the winning answer to a “Who Wants to be a Millionaire” game show question, right? Lily Tomlin: Was I on there? Arden Moore: You were the winning answer to a $16,000 question, on “Who Wants to be a Millionaire”; the question was: Who was the name of the switchboard telephone operator, what was the name of the actress who played her? And the guy won $16,000 for the answer. Lily Tomlin: Well, God I’m proud. Arden Moore: I know. And he didn’t chew gum or snort in his answer. Arden Moore: (laughs) Speaking of Ernestine, you’ve created oodles of characters, which makes me a little concerned if you’re schizophrenic, or just multi-talented, but, how did you come up with this character, Ernestine, years ago? Lily Tomlin: …whole infrastructure was going to heck. You couldn’t get a new phone; you couldn’t get it repaired; it rang at odd hours, when nobody was calling (laughs). All kinds of things happened, so it was just ripe for satire, and I was just going to do a tough, New York operator, but as I started threatening people, and harassing them, and having every private document that’s ever existed about them, I could see how sexually repressed it was; that kind of petty power in my body just sort of tightened up, and my face tightened up, and I just got squeezed rigid, and my face went that way, and I’d snort when I’d laugh. And she was just one of those happy things that happened, organically; I think that’s why she probably struck a nerve. Someone, I think the audience aside from everybody having trouble with the phone company, especially back then, I think they sensed some kind of sexuality about it. Arden Moore: No, I think you’ve spot on described her perfectly. And yet, even in these high tech years, I think some of us wish there was an Ernestine around, don’t you? Lily Tomlin: (laughs) Yes, well, I do. (laughter) You can’t keep Ernestine down. I mean, she’s like, absolutely, a dynamo in terms of her own self-interest. Now she works at a big health care, insurance corp, denying health care to everyone. So, she navigates the world. Lily Tomlin: As long as she’s got somebody she can intimidate and reject, she’s happy. Arden Moore: I can’t handle her. But, Edith, I love; “and that’s the truth”. (thrppt) I can’t do it that well. Edith Ann; the whole idea of putting her in a giant rocking chair, that was great. Tell us about that character; how you created her. Lily Tomlin: Well, I still have that rocking chair; I have it at my house now. Arden Moore: Oh really? Nice. Lily Tomlin: …and powerful, influential. But they didn’t want me, they thought Edith was too bratty; they didn’t understand her, at all. So they wanted me to do Suzy. So I said, “Well, I’ll do Suzy, if you’ll let me do Edith”. And they wouldn’t show me the rocking chair at first, because they didn’t think she would catch on, and I did her the first two or three weeks out of a big cardboard box; you know, how kids get a big refrigerator box and make a fort? Arden Moore: Oh yeah, yeah. Lily Tomlin: At least they did in my time. And the first couple times I did her, I’d push a flap up on the top, so that there’s no size relationship, you know? And then they built me the chair. She caught on right away, I don’t even know how, because I think she got much better over the years. But when I created Edith, I wanted to do a kid, because first of all, it’s fun to do a kid. And then, it’s another range of humanity. So I’d go down to the Ice House; there’s a little club here in Pasadena, and it’s sort of out of the way. If you go in L.A, someone’s liable to write about you. So I’d drive all the way from Malibu to Pasadena to do a couple of bits. And…(sound of phone ringing)…yeah, let me answer my cell phone. Lily Tomlin: (to cell phone, in Ernestine’s voice) Hello. Oh yeah? Well, shove it. Lily Tomlin: That was Ernestine; I told her to answer my phone and she did, and of course she was rude. Lily Tomlin: Ernestine, please, just go someplace while I’m doing this, so I don’t have to deal with you. Arden Moore: Go play with Edith Ann. Lily Tomlin: Okay, so Edith Ann. So anyway, I would just improv, and have the audience ask me questions, you know? Arden Moore: The comic gods hand delivered that on a platter. Lily Tomlin: I said it was like Jesus put his hand on my shoulder, you know? Lily Tomlin: …they make it look like the stain just floats away, I was in a huge tank, with 300 gallons of water, and it took three days to shoot the commercial, because I was in cement booties so I wouldn’t fall over. Arden Moore: (laughs) Oh my gosh. Lily Tomlin: It took me time to figure out how to stay upright, because the water would rush in like a second and a half, and it would just knock me to hell. And they’d have to pull me out on a [unintelligible] and dry my hair and everything, and this was before I was known at all, and then I would agitate, like a washing machine, and then the stain would float away. Arden Moore: I love it, it’s on your website. I was roaring when I saw that. Lily Tomlin: Well, I still have to get the stains out of my shirt. Arden Moore: We have something in common. We both have a cat by the same name, Murphy. And my Murphy is a chick. I actually named her after Murphy Brown. Arden Moore: Oh my gosh! Lily Tomlin: …I got that cat when I went on Murphy. Lily Tomlin: My Murphy is…she’s kind of a long-haired, she was a feral cat, that a friend called me and found up in Carmel, and she drove down halfway to give me that cat. Arden Moore: Oh my gosh. Lily Tomlin: …and that year, that was probably ’95 or ’96 or something. Anyway, she’s kind of a charcoal, with that little bit of tan underneath rubbed in, but she’s mostly, and in her face she has stripes on; she’s a beautiful cat. Arden Moore: Oh. What’s her personality like now? Lily Tomlin: Oh, she’s wonderful. She’s very feminine; Lottie is a male cat, and he’s a short-haired, yellow cat. And she’s so seductive; she comes over and she whacks him. Lily Tomlin: …and she’s more friendly with strangers who come in than he is, but she’s very sweet. She’s very sweet, except she is willful. He’ll let you hug him and throw him over your shoulder, and she won’t do any of that, but I pet her all the time. She literally runs, she has this one couch she likes to be petted on, and when she thinks I’m headed in that direction, she gallops to that couch to wait for me to arrive. Arden Moore: (laughs) She’s training you. You know that, right? Lily Tomlin: Oh, of course she does. And then, she has a very small voice. So we don’t know why, if it was because she was in the woods, and she got severe (laughs) laryngitis or what, but she has a little, tiny voice. Arden Moore: Well, my Murphy is, I nicknamed her “Morphy”. She’s kind of a big girl. She’s like a black cat with a little white bib, and she came from the streets of Irvine, California. She got dumped, I guess, from the apartment people who departed when I first moved to California. And I just love the Murphy Brown show, and I used to be a newspaper reporter and editor for a major daily. And I thought, “I’m going to name her Murphy Brown”, and everybody say “I like your boy cat”. With cats, it’s hard to check under the hood, like a boy dog, and say, “Oh, it is a boy cat”. And I keep saying, “No, she’s a girl; her name’s Murphy Brown”. So, I think that’s pretty interesting; we have something in common. Lily Tomlin: …and I am very allergic to cats, and always have been. But I’ve still always had cats and dogs. So, my vet kept saying…and she had a lot of trouble with hairballs. So, she was in the hospital once for like four days, because they couldn’t get this hairball to pass. And he had told me I should trim her hair; that it would be much better for her and for me. I thought “Oh, she’ll die, she’ll be so embarrassed, or she won’t like it”. We cut her short, I mean, I had a groomer cut her short, because, who knows what I would have done. First of all, she looks like a kitten, and she seems to like it a lot. It’s much better for me, on an allergy level, and she doesn’t have any hairballs anymore. Lily Tomlin: Yeah, but our cats get a bath every month. Lily Tomlin: Or groom her. Is that bad? Lily Tomlin: Different than a scratching post? Arden Moore: Yes, yes. It adheres right to the corner, on the side, so cats will rub against it. Cats are like feline Zorros; they like to leave their little scent everywhere. So, they’re always going, “Mine, mine, mine, mine, mine”. When they rub their cheek to you, you know? Arden Moore: Grafittied by a cat. I just want you to know that. Lily Tomlin: (laughs) Oh, that’s great. Well, where do you get these grooming corners, or posts, or whatever they are? Arden Moore: Oh, PETCO or PetSmart, or something. Just walk in there; I’m sure nobody will notice you coming into a store like that, of course. Lily Tomlin: I go to it all the time. 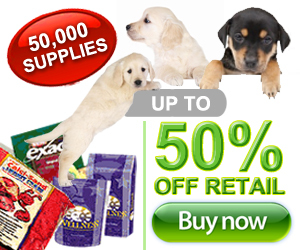 I go to the PETCO all the time, with nary a ruffle. Arden Moore: Really? You don’t have one of your disguises, one of your different characters? Lily Tomlin: No. I think when you do comedy, people, and when you’ve been around as long as I have, they’re just friendly. They’ll say “Hi, Lily”, or they’ll say “Oh, Lily, what kind of animals do you have?”, and stuff like that. Arden Moore: They don’t offer to buy your products at the store? Arden Moore: Oh, I’m sorry. Lily Tomlin: They expect me to buy something for them. Arden Moore: (laughs) Well, we’re listening to Lily Tomlin. I’m so happy you’re here on the show. We’re going to take a quick commercial break, and get back to what she’s doing for Voice for the Animals Foundation right after this commercial break. Sit and stay, we’ll be right back. Announcer: Time for a walk; on the red carpet, of course. “Oh Behave!” will be back in a flash, right after these messages. Announcer: Ladies and gentlemen, Pet Life Radio proudly presents DSPN: The Dog Sports and Performance Network. Get ready to unleash the dog sports enthusiast in all of us. From skijoring and mushing to racing, agility and competition. This is the place to learn all about the dog sports and activities that you can do with your furry best friend and canine competitor. So get ready for game time. DSPN, with your host Laurie Williams. Every week, on demand. Only on PetLifeRadio.com. Announcer: Let’s talk pets, on PetLifeRadio.com. Rachael Ray: Hey everybody, I’m Rachael Ray. You’re listening to “Oh Behave!”, with Arden Moore, on Pet Life Radio. Announcer: We’re back from the lot. Just checked the paper, and we had a record showing at the box; the litterbox, that is. Now, back to “Oh Behave!”. Here’s Arden. Arden Moore: Welcome back to the “Oh Behave!” show on Pet Life Radio. I’m your host, Arden Moore. We have as our guest, Lily Tomlin, she is amazing. I am so happy that you’re on the show. And we want to get right into what you’re going to be doing on March 5th for the Voice for the Animals Foundation. Arden Moore: I have it. Ready? 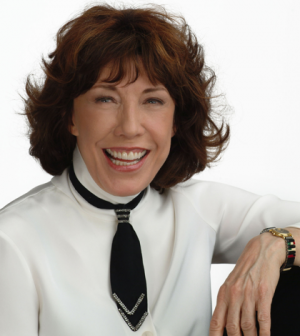 Lily Tomlin: Do you have it? Arden Moore: V-F-T-A-Foundation.org. So, it’s VFTAFoundation.org, and the show is March 5th. And the doors open at 6:00. So, are you going to do different characters? Lily Tomlin: I always do characters; in fact, I’m leaving Wednesday to go to Fort Worth and Austin, and I’ve been working on, there’s an elephant, aside from Billy, that we’re working on, trying to get transferred from the L.A. Zoo to the sanctuary up north in California, at PAWS. Lily Tomlin: There’s also an elephant, well, there’s elephants everywhere that need help, but, there’s an elephant named Jenny, who’s at the Dallas Zoo that I had been working on, too. Arden Moore: Oh, great, great. Lily Tomlin: But the night of the event, on March 5th, Carol Leifer will also be there, Orny Adams, Peter Berman, and probably some others, surprise got[?] people. Arden Moore: Oh, that’s great, and the money’s all going to benefit the Voice for the Animals Foundation, correct? Lily Tomlin: Right, and of course, I became involved with Billy the elephant here in L.A. through Voice for the Animals. And Melya Kaplan, who runs that group, and we worked so hard for Billy, and the Council. There was so many shenanigans that went on that day in the chambers, and the vote and everything, but then we went in; we pretty much had the votes, and something had gone on, where some kinds of deals were made, I’m sure. Anyway, it was very suspect. But they voted to keep Billy at the zoo. Arden Moore: Well, all jokes aside, because that’s a very good talent you have. But you also are a champion for all animals, so for some of the folks that aren’t, bring them up to speed about Billy, the Asian Elephant at L.A., and the one, Jenny in Dallas, and why it’s not so cool to always have them at these kinds of places. Lily Tomlin: Well, it’s almost never cool, because there just simply is not enough room at a zoo for an elephant. Lily Tomlin: Billy has been subsisting on a quarter of an acre for over twenty years. And the same is true of Jenny in Dallas. And Jenny’s an elephant with very special needs, anyway, because she was in the circus for ten years. And when she was ripped out of the wild, and presumably her mother was shot and killed, and she had terrible psychological problems. And, joint and foot problems that elephants usually get in zoos, or small confinement. So she’s had a really suffering life. And now Billy’s a bull elephant, and he’s over there in the L.A. Zoo, and he has been in rut, as they say, meaning he’s been looking for a female partner. So, those bull elephants are very hard to treat, and handle because they’re huge and they’re aggressive. Lily Tomlin: But the main part about elephants, once I got involved with elephants and started reading about them and learning about them, when you’ve realized how sensitive and intelligent they are, it just adds to the magnitude of their suffering. We have a Councilman here, Tony Cardenas, who’s absolutely wonderful. And he’s the one who brought a motion to transfer Billy from the L.A. Zoo to the sanctuary, and he refers to this habitat that they’re planning to build in L.A. for 42 million dollars, as an elephant mortuary. Lily Tomlin: These exhibits are already obsolete before they’re even built, because they’re not adequate. And there are other animals at the zoo who could use that space and use it very happily, but elephants can’t. This space is really about three and a half acres of usable space, and they plan to even bring in four or five more elephants. Arden Moore: To me, it would be like living in a telephone booth. Lily Tomlin: It’s a telephone booth. Well, it is; it’s just about that. The AZA, the Association of Zoos and Aquariums, if anybody thinks that they’re on the elephants side of their welfare, they should know that the space requirement for an elephant in a zoo, according to the AZA, is equivalent to a three car garage. Arden Moore: Oh My gosh. Well, what can people do, what can our listeners do to help out? Is there anything that they can do? Lily Tomlin: …and nothing better for Billy; no real salvation for Billy. And also, bull elephants have to be isolated; they don’t mix with female elephants. Arden Moore: What about in Dallas with Jenny? Lily Tomlin: In Dallas, Jenny. Well, if you go on(line), there’s a group there called ConcernedCitizensforJenny.com, and there you’ll find the mayor and all the Council people, their addresses and phone numbers. And you can write and call them. And I would suggest you’d find it fascinating just to read about elephants. There are a lot of incredible books. There’s one particularly, When Elephants Weep, and how really emotionally developed they are. And I’m sure people have seen documentaries and other kind of wildlife footage, where you see elephants grieving over an elephant of their herd that has died. Lily Tomlin: [unintelligible]…from the dead, and they go back in later, and they pass the bones around of their ancestors, and they’re just really developed, that’s all there is to it. But, to have to subsist in that small confined space is completely unnatural anyway. So, when people go to the zoo, even if they put a tree up, and a little waterfall or a little pond, it’s just for show. It’s ridiculous, because they just will not accept, or they won’t own up to the fact that it is not adequate, and every elephant expert in the world has stated this and restated it, and underscored it, and plead with the zoos to transfer these elephants to the sanctuaries and not bring in more elephants. Arden Moore: Well, you’ve educated our listeners, and I can tell you, we have listeners all the way from Singapore to here. Lily Tomlin: Oh, that’s great. Arden Moore: So, I’m really glad that you could get your message out. I saw a really interesting clip of this bonding, if you will, between an elephant and this dog. Have you seen that one? Lily Tomlin: Oh yeah, it’s good. Lily Tomlin: I know. They stayed there, like three weeks, outside the facility. It’s breathtaking, you see elephants reunited that have known each other in the past, because they get so bonded to one another. It’s another magnificent thing, if you also go on and google PAWS, the sanctuary in northern California, P-A-W-S.
Lily Tomlin: And in Tennessee, there’s a great sanctuary, the Tennessee Elephant Sanctuary. And you’ll see videos of elephants interrelating and frolicking. They walk and run miles and miles a day; thirty, forty miles a day. They have to forage, and have very, very sensitive feet. So when they’re in a quarter of an acre, for twenty years, that earth is just like concrete. They weigh 10,000 pounds, and the earth is so compacted, and it causes them really bad foot and joint diseases. And very painful; a lot of money spent, maintaining an elephant in a zoo, is spent on their medical needs, because they’re not well. Lily Tomlin: Absolutely, I’ve always been an advocate for animals, not as upfront as I could be, because I do have the chance to go on media and stuff like that, but of course we passed Prop Two here in L.A., to give farm animals a better break, and that was a great accomplishment and a move forward. But right now as an animal activist, and as a person who’s aware, and you know how much suffering there is in the animal world, and in the human world. But when I started reading about elephants, yes; the awareness and the consciousness, and just how complicated and intelligent these creatures are, it compelled me to become involved. Lily Tomlin: Well, she probably wants to get a show of her own. Arden Moore: Yeah, she is kind of a feline celebrity. I had to talk to her agent to find out if I could talk to her, you know how it goes. Lily Tomlin: There has to be an arms-length negotiation. Arden Moore: (laughs) I tell people that cats put the “c” in candid, the “a” in attitude, the “t” in tenacious, and the “s” in, so what? Lily Tomlin: (laughs) I’m going to get one of those grooming posts, right away. Lily Tomlin: So you’re saying I probably shouldn’t be letting my cats get a bath every month. Arden Moore: Probably not. I want you to bathe at least [inaudible] a month, but not tell them. Lily Tomlin: …and cut their nails. Lily Tomlin: Yeah, I will. Arden Moore: …and just rub it, it just grabs up a lot of the loose hairs. You’ll never get rid of your vacuum cleaner, but it will make a difference. Lily Tomlin: You could fill a mattress, if you save up that hair. I think maybe there’ll be a market for loose cat hair, with the economy the way it is. Lily Tomlin: I am. I am. Arden Moore: …book tours, and I’ve got Catty With America, and I think we’re helping cats everywhere, because I like cats, dogs, and elephants, and others, and I think awareness brings out the best in us. Lily Tomlin: That’s why we need diplomacy in the world; people have to be aware, the more they are aware of each other, the less likely they are to be cruel to each other. Arden Moore: Yeah. Oh yeah. Lily Tomlin: …he’s going to do a lot more mischief before he comes to his just desserts. Arden Moore: (laughs) hee hee hee. All right, is there anything else you’d like to add before we call it a night? Lily Tomlin: No, every thing’s great; I’ve never not gone on the road, ever since I got on Laugh-in, and I was well-known. I always had an act from the time I was five or six (laughs). I got developing an act, although I didn’t know it was an act, but it was. And imitating neighbors and stuff in the apartment house I grew up in, so, I might be in one of your cities at some point. Arden Moore: I would love it. I would love it. You keep reinventing yourself, and I think that’s the secret to success. You also have a quote here, I think you said, “The road to success is always under construction”. Lily Tomlin: Well, I’ve seen that on the Internet. I can’t attest to the fact that I said that. Because I don’t remember saying it, but it sounds good. Arden Moore: (laughs) Yeah, that’s a good point. We’ve been listening to the “Oh Behave!” show on Pet Life Radio. I’m your host Arden Moore. I want to thank our special guest Lily Tomlin. I also want you to dash over to the Voice for the Animals Foundation website and learn more. She’s going to be the headliner for an upcoming event, it is VFTAFoundation.org. You can also learn about what Lily is up to on LilyTomlin.com site, correct? Arden Moore: It’s very creative, by the way. I was enjoying it immensely. And I also want to thank my executive producer, Mark Winter. He puts this show together each and every week. So, until next time, this is your flea-free host, Arden Moore, delivering just two words for all you two, three and four-leggers out there: Oh Behave! Announcer: Coast to coast and around the world, it’s “Oh Behave!” with Arden Moore. find out why cats and dogs do the things they do. And get the saltest buzz from wagging tongues and tails in Rin-Tin-Tinseltown. From famous pet experts and best selling authors to television and movie stars, you’ll get great tail-wagging pet tips and have a fur-flying fun time. “Oh Behave!” with America’s Pet Edutainer, Arden Moore, every week on-demand. This is the place for a special pup-a-rozzi treat, only on PetLifeRadio.com. Come On Down! 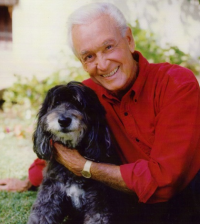 – The Price Is Right’s Bob Barker Visits Pets In the City!